WELCOME TO THE CENTRAL CAMBRIA EDUCATION FOUNDATION! 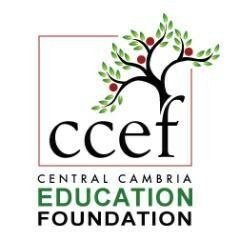 The Central Cambria Education Foundation fills educational and funding gaps by supporting innovation, engaging communities and changing lives for the Central Cambria School District. All funding comes from private contributions, corporate support, public matching funds, fundraising and endowments. The opportunity to impact the future of our children begins with actions we take now.